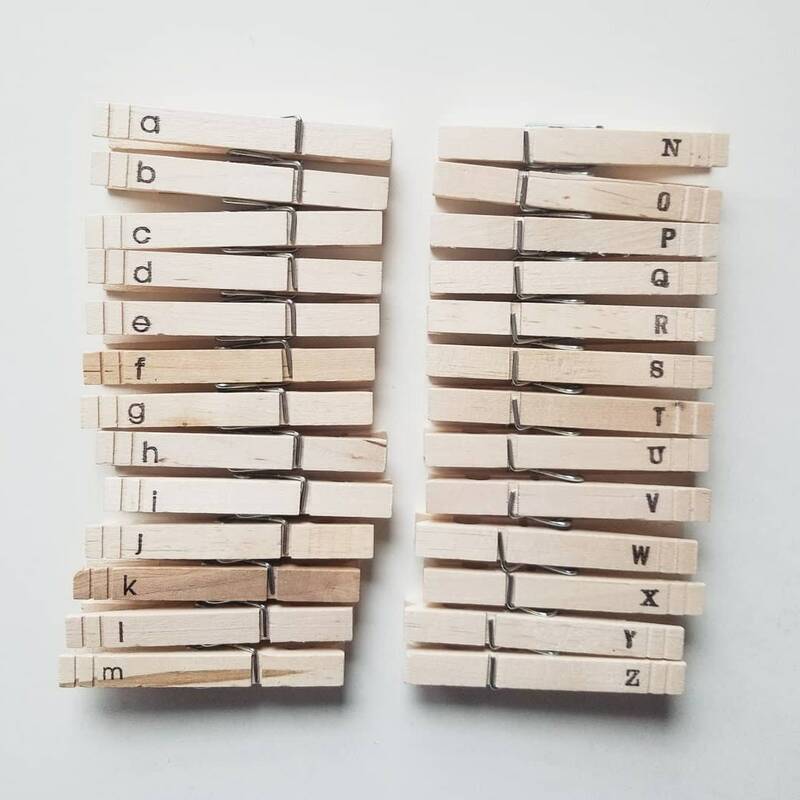 This listing is for ONE handmade matching alphabet game banner and clothes pins. 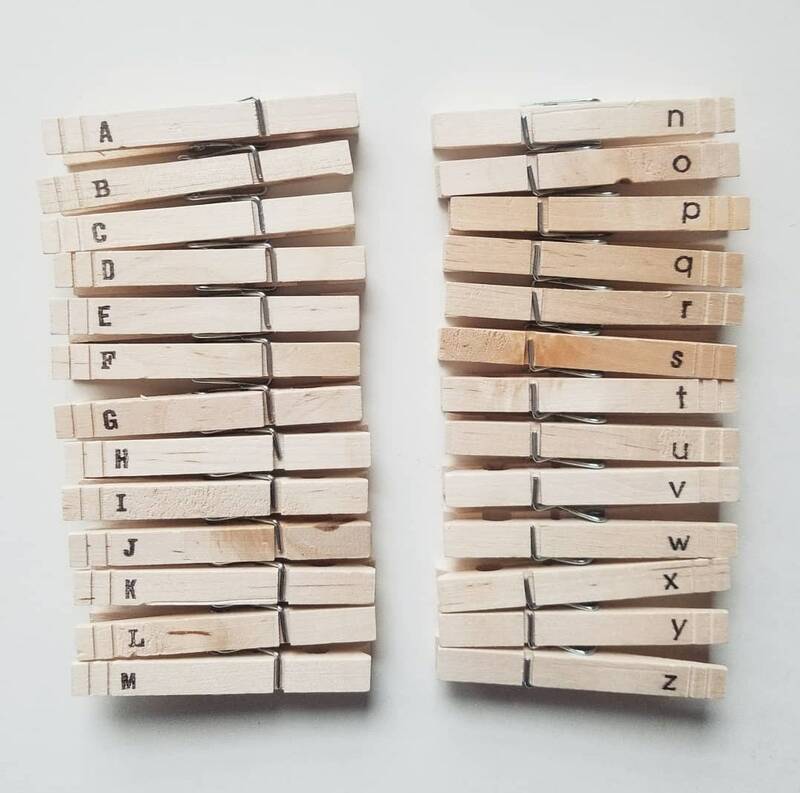 Helping young children with fine motor skills and alphabet recognition. Please supervise children when playing with this chart. 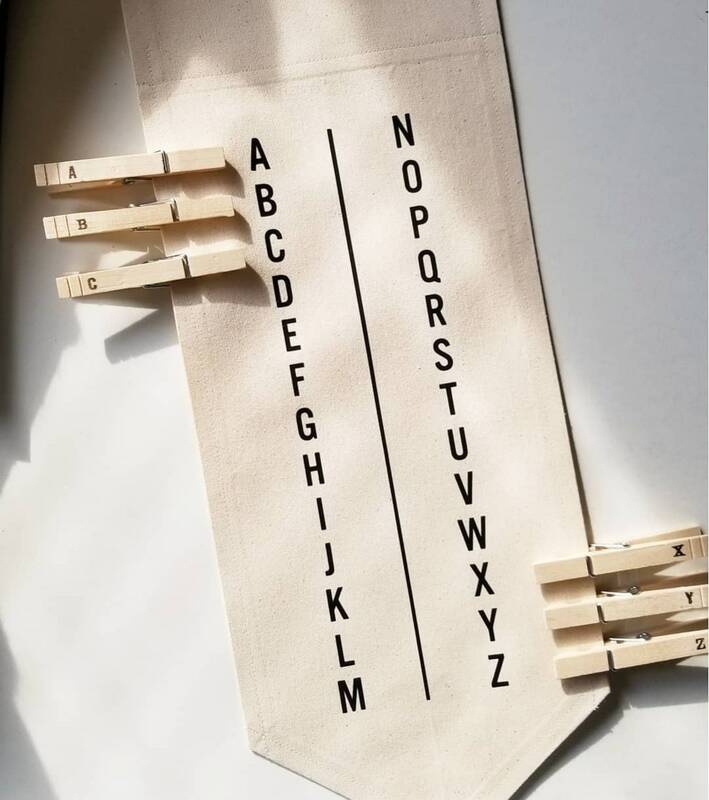 Options of natural unbleached drill or black utility fabric w/ black, white, or gold heat pressed lettering. 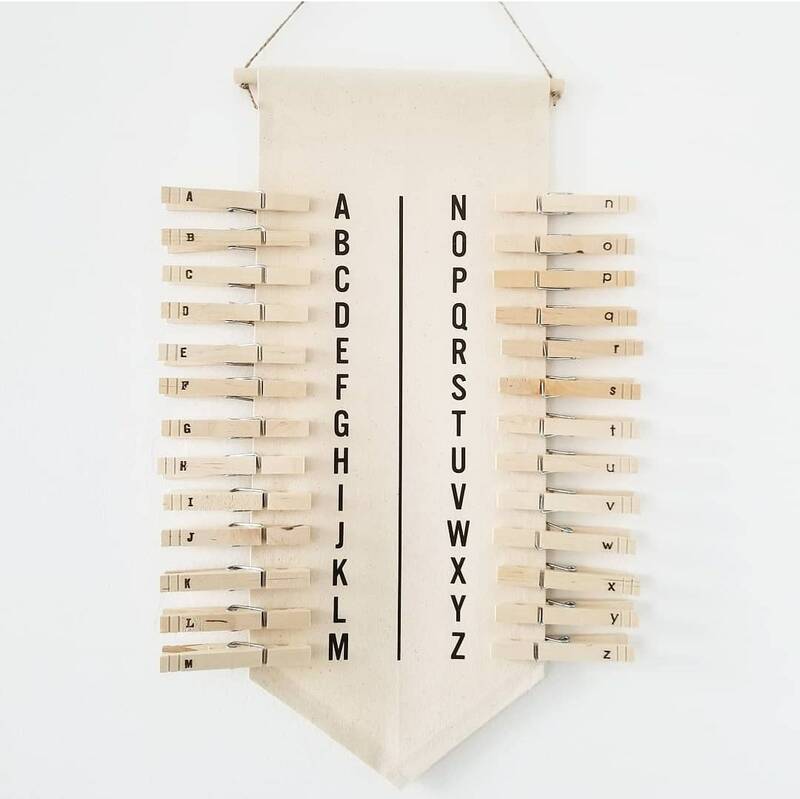 Banner comes with 26 clothespins that have uppercase letters on one side and lowercase letters on the other side. Pendant measures approximately 7" across x 17" long. Orders are ready to be shipped between 5-10 business days, BUT may take up to 2 weeks depending on how many orders are ahead of you. I will contact you if there is any change to your original ship date.